Best case: We turn it around and win 5 of the remaining 6 games, finding consistency and winning the CUSA West in the process. 8-4 regular season with a chance at that coveted 9 win quadruple repeat. Worst case: We are Actually Bad and we lose to everyone on our schedule except Rice and UTEP, falling to 5-7 and not making a bowl game. Wtf. Best case: Win out and return to the conference championship game. The C-USA has some surprisingly decent teams but no game is unwinnable. Worst case: Sputter along and finish outside of the postseason picture. None of the upcoming games are guaranteed wins and injury relief doesn’t arrive, the wheels could fall off and end Tech’s season earlier than hoped. Best Case: Finish 8-4 and go on to the CUSA Title game and win it. I think this is a consensus among us all. Worst case: Poop the bed and lose every game from here on out but one, ending 4-8. We are ALWAYS due a second inexplicable loss. We should be 5-1 right now. We are a defensive stop and a field goal away from that. So best case we win out and go 9-3. Worst case we lose to USM, North Texas, and UTSA and one other and go 5-7. Best Case: We finish the regular season 8-4 and somehow make the CUSA Championship game, which means we’ll probably finish 9-5. Again. Best case is we run the table and win the division. Worst case we gain only 2 more wins and finish 5-7 to not qualify for a bowl. UTEP. Tech has struggled in El Paso since joining the CUSA. Tech shouldn’t have a problem with the Miners, but I wouldn’t put money on this one. Can I say UAB? Because UAB. But maybe also Southern Miss. But also maybe still UTEP. Maybe FAU, too? And North Texas? Who knows. UTSA or USM, though it helps that the games are at home. UTSA. This game will either be meaningless or vital, my prediction is vital. Rice. May Science have mercy on our souls. UAB. We have a 99% chance of winning. So we will lose. Budding basketball rivalry doesn’t help. I will take all credit and blame for this one. UTEP. Only won by a combined 5 points in El Paso in the past. At this point, Tech has died twice to bigger programs and inexplicably died at UAB. We’re a zombie now, so as long as nobody shoots us in the head, we’re good… right? But yeah, this weekend against USM. UTSA. We have struggled in the final game of the season. I’m going to change it up a bit and day FAU. ACTUAL: Offense: 63. Defense: 103. Special Teams: 88. Offense: 9th. Defense: 80th. Special Teams: 59th. Overall: 34th. Hahahahahahahahah I was so wrong. Without looking up the current standings, I’ll say Tech will finish 65th in offense, 75th in defense, and 65th in STs. 75th overall? Offense: 30th. Defense: 70th. Special Teams: 60th. I felt I was being pessimistic compared to the rest of us but man I was still generous. The numbers will hopefully improve with the easier schedule (the first half of the season was 33% SEC competition). Let’s go with 50th offense, 85th defense, and 69th special teams. Offense: 33rd. Defense: 78th. Special Teams: 65th. Offense: 55th. Defense: 90th Special Teams: 70th. Offense: 28th. Defense: 80th. Special Teams: 65-70th. Offense will continue to improve, but I don’t think we will hit 28. Maybe more like 42. I’m kinda surprised Defense is ranked so low. Maybe the MSU game is weighing that? I also continue this to increase, so I’ll stick with my 80. Special Teams should improve as long as Bonathan Jarnes stays off the field. Offense: High 20s. Defense: 70-80s. Special Teams: 40th. Jesus, I was way too optimistic about the offense it seems. Offense 50, defense 80, ST who knows. Offense: Top 20. Defense: Better than last year. I am a very smart and good predicter. Since Alfred is ded, I would say my cap is tilted towards Bonnette. He has nearly matched or outgained most of his REC totals from last year in just 4 games. Champ may need to come in at WR soon. We’re starting to turn into the Giants. I was feeling pretty good about Hardy, but he’s dealing with an injury. Amik Robertson is definitely the breakout player for the first half of the season for sure though. We’ll see what happens the rest of the way. Jaqwis Dancy will do something that earns national headlines. All of our WRs will not go and also die, leaving Champ, loveable mutt that he is, to play in the slot. Jaylon Ferguson will be Top-5 in the nation in sacks. J’Mar will have 5 rushing TDs against NSU, placing him 2nd on the most rushing TDs scored in a game by a Tech player, behind KD’s 6 TD performance in 2015 against North Texas. wow i suk @ this…. JMAR WILL RUSH FOR 5 TDS AGAINST UTEP, placing him 2nd on the most rushing TDs scored in a game by a Tech player, behind KD’s 6 TD performance in 2015 against North Texas. An AAC team (umm… let’s say UCONN) has a bad year and wants to replace their Defensive Coordinator with an “up and comer” and hire Blake Baker. Baker getting Dooley’d is still my hot taek. Tech has a stellar defence, top of the nation stellar, but the offense middles and is mostly serviceable. HAHAHAH. Well I was right about the offense. My new off the wall prediction is that we don’t finish the season with 9 wins. Tech will beat both MSU and South Carolina and handily win most other games, causing Tech to make an appearance in the top 25 for the first time in several years. Tech will be ranked in the top 25 at some point, but will end the regular season at 9-3. After winning the conference championship, Tech beats a middling P5 program in the Okay Bowl Game and end up 11-3, which somehow feels like a disappointment here in August. Somehow I’m going to find some optimism here. Tech will find some consistency and some reprieve from the injury bug and win 5 of its remaining 6 games. The most likely game to drop, however, is probably USM, because we can’t beat them even when we should. If we lose that game, it could be a downward spiral to losing 3-4 of the next 6. However, I’ll say Tech beats USM, Rice, UNT, UTEP, and UTSA, dropping one to FAU. Tech breezes by NWST but suffes growing pains against MSST, WKU, and USC to start 1-3. After that, they get it figured out and finish the season with 9 wins and a berth in the C-USA championship game, which they lose to WKU. Tech goes to a bowl game against a middling Power-5 team and picks up its tenth win. A ten win season doesn’t look like it’s in the cards but I think Tech will fall just short of the C-USA championship like they did in 2015 and then go to a mediocre bowl game that will hopefully be fun. 8-4. The season will start off with a familiar 1-3 record, and then pick back up with a couple W’s against weak teams before an L to So. Miss. From there it’ll be W’s until the title game where Tech will go down to either WKU or MTSU away. Stumble into another easily winnable bowl game against a weak Sun Belt school – ULL perhaps? They won’t live up to expectations. 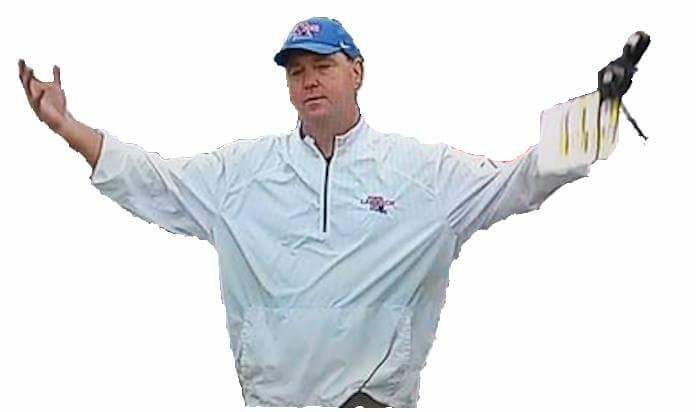 We will go 6-6, miss the CUSA Title Game, go to a poopy bowl against a Sun Belt school, win it, and then walk around like we did something meaningful, only to repeat the cycle of constant sadness next year known among Tech fans as LaTechanitis. 11-1 with a regular season loss to WKU. Tech wins the C-USA Championship, but misses out on an access bowl to an Appalachian State team that beats Georgia in their opener and continues to go 12-0 against mostly weak Sun Belt teams. I think we drop 2/3 to USM, North Texas, and UTSA. Ending the regular season at 7-5. And who knows, with the way C-USA has been playing, that may be good enough get into the championship game. My honest thoughts are that we end the regular season around 9-3 with losses to one of the SEC teams, WKU, and the Baffling Loss™. I’m optimistic and I think we’ll finally win the conference and hopefully a nice bowl game showing giving us an 11-3 record on the year. At this point, I’m just hoping to win the west, but that looks more difficult as time goes on. UNT and UTSA have improved a lot. Southern Miss has had our number the past two years. I really have no idea what will happen, but this next game will tell us a lot about what to expect going forward. My dream for 9-3 regular season is still alive, but I’m doubtful. This is finally the year Tech will break our standard of 9 win seasons. My prediction is we will finish off the regular season at 10-2 with our first CUSA conference championship win. Tech will make a bowl game but I doubt we will win the west. I think we may be looking at the New Orleans Bowl again.